By Tom Kertscher on Thursday, August 24th, 2017 at 6:00 a.m. 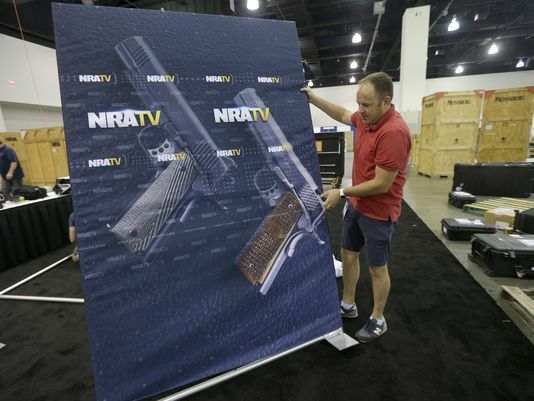 The NRA Carry Guard Expo, a National Rifle Association event for "personal protection, concealed carry and defense tactics," is being held Aug. 25-27, 2017 in Milwaukee. Here are 10 of our NRA- and gun-related fact checks. This claim was made in 2013 by Harry Alford, president and chief executive officer of the D.C.-based National Black Chamber of Commerce and was shared by the Milwaukee County Republican Party. We found the NRA itself said it was formed by Union Civil War veterans to improve soldiers’ marksmanship. And we found no evidence that religious leaders founded the NRA to protect freed slaves from the KKK. This claim was made in 2014 by the liberal Greater Wisconsin Committee. 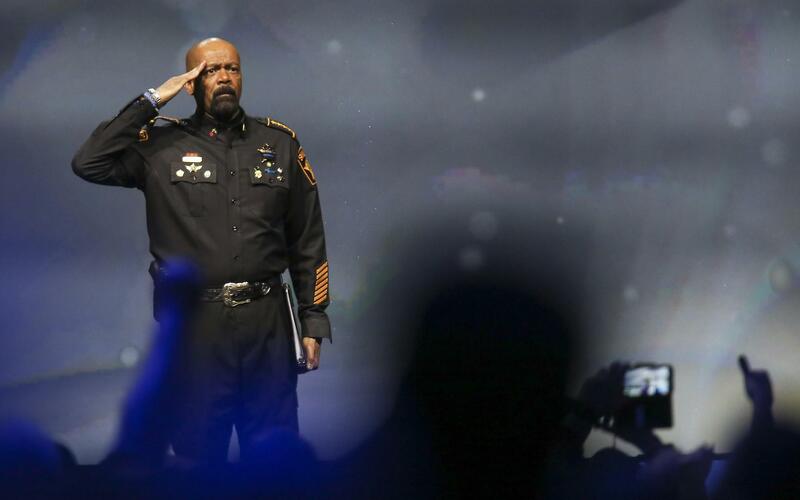 Clarke did make such a statement in an interview and made similar comments in an earlier radio spot and in comments to PolitiFact Wisconsin. The claim was made in 2014 by U.S. Sen. Ron Johnson, R-Wis.
We found that Chicago had some of the strictest gun control laws, but was not number one among U.S. cities for the murder rate. Meanwhile, the evidence was mixed on whether stricter gun control is associated with fewer murders. The statement was made in 2015 by state Sen. Lena Taylor, D-Milwaukee. The most recent national poll of NRA members that we could find at the time, done in January 2013 by Johns Hopkins University, found that 73.7 percent of the members supported requiring background checks for all gun sales. The 2016 claim by U.S. House Speaker Paul Ryan, a Janesville Republican, was accurate as it applies to gun sales in which a federal background check occurs. But a significant number of gun sales or other transfers lack background checks, so there would be no red flag when someone on the list tries to buy a gun. That statement also came from Ryan, and also was made in 2016. We found the U.S. Supreme Court has not explicitly declared that Americans have a constitutional right to semiautomatic rifles. And states can, within certain parameters, put restrictions on those guns. But generally speaking, experts told us, semiautomatic rifles are a legal weapon that fall under the Second Amendment right to keep and bear arms. This statement was made in 2016 by U.S. Rep. Gwen Moore, D-Milwaukee. Terrorists, as well as people deemed potential terrorists who are on the federal government’s no-fly list, are prohibited from flying. Terrorists who have a felony conviction can’t legally buy guns, but people on the government’s terrorist watchlist can, assuming they aren’t disqualified for some other reason. Democratic nominee Hillary Clinton made that statement in Milwaukee during the 2016 presidential campaign. The best data available at the time essentially backed up the claim, but it was from 1998. It’s also worth noting that the gun traces go back to the original seller of a crime gun and don’t take into account whether there were other transactions before a particular gun was used in a crime. The claim was made by U.S. Sen. Tammy Baldwin, D-Wis., in 2016. The most comprehensive data available supported the first part of the claim, that more than 32,000 people die from gun violence every year. On the research ban, while the language from something known as the Dickey Amendment does not explicitly ban the agency from conducting research, its interpretation effectively banned the practice. The Orlando nightclub shooter used "a weapon of war." Baldwin also made that statement in 2016. The gun used in the mass shooting was originally designed for military use. But the shooter had a civilian version of that gun that lacked key attributes of a military-style weapon. However, it was also significantly different from weapons typically used by civilians for hunting.